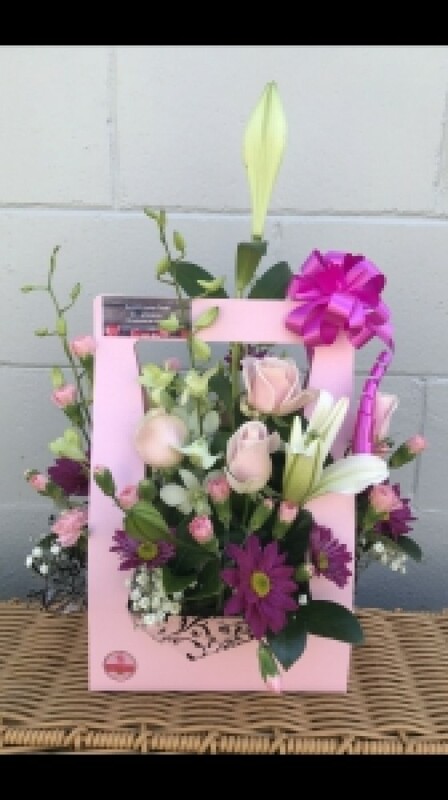 Assorted blooms peeking out of a box for you to enjoy, flowers & box colour may differ from picture as to availability on day of delivery. Box colours are white pink blue geeen & black. Flower may include orchids lillys gerberas roses carnations ect. Some flowers may vary due to availability or a similar substitute will be used.